We operate an online bookstore with over 12,000 books, ranging from current bestsellers to rare antique gems. 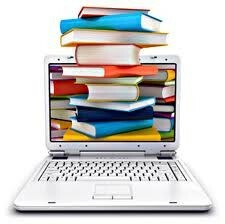 We are continuously adding books to our online inventory so do keep checking back for new titles! Browse our book catalogue on your smartphone or tablet. You can now browse our book stock using FREE mobile app, Readerware. We have about 25,000 books that are not on our shelves, and over 11,000 of these have now been catalogued. Readerware can be downloaded to your iPad, iPhone, Android tablet or Android smartphone. Simply install and update our book database by connecting to our server. Once the database is loaded on your device, it can be viewed at any time of day or night. If you find a book you want, just phone our bookshop (01275 218318) and we will tell you its price, and reserve it for you for collection from the bookshop.